Wanting some information on cavity prevention for your family? It is essential for every age to understand how to properly care for their teeth, as teeth were designed to last an entire lifetime. With proper care and regular visits to the dental office, anyone can be in good oral health, which is an important part of one being in good overall health. The basics of good oral healthcare include gently brushing the teeth using a quality toothpaste and gently flossing the teeth at least once a day in order to remove any food particles that may be stuck in between the teeth after eating. A cavity is basically a hole in one’s tooth and is an oral issue that should be avoided at all costs. The reason why someone would have a cavity is due to dental decay. When bacteria is left in the mouth for too long, it will begin to turn into plaque and tartar, which will eventually lead to a cavity. Once someone has been diagnosed with a cavity in one or more of their teeth, it means that those teeth are now in jeopardy and are in need of some dental repair. When someone is diagnosed with a cavity, they will need to get a dental filling in order to prevent the cavity from becoming worse. There are a few types of filling materials available, with silver fillings and tooth-colored fillings being two of the more popular material choices. The following is a list of important tips that all family members can do in order to avoid being diagnosed with one or more cavities in their mouth. Make healthier food choices. Examples include raw crunchy vegetables, fresh fruits, nuts, cheese and yogurt. Drink only water at night after brushing one's teeth. Use fluoride treatments. Fluoride treatments are often recommended for children, especially when they are deemed to be at a higher risk for getting cavities. Try dental sealants. Dental sealants are an option for children as they can protect the back teeth from getting cavities. Schedule regular dental appointments. 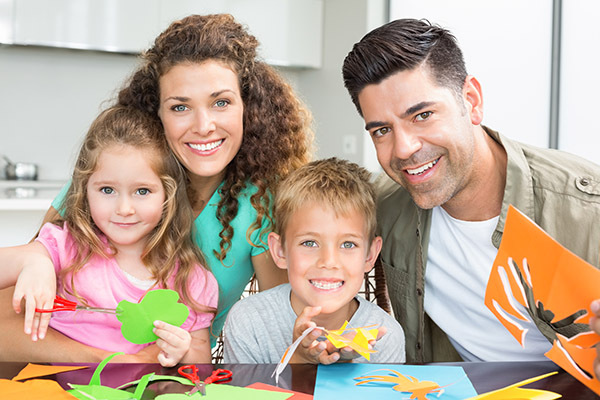 Scheduling regular appointments is highly recommended, as this is the most optimal way for all members of a family to ensure cavity prevention. Have any questions about cavities you need answered? Have any questions for us about cavity prevention? If you do, we welcome your questions! We have a caring team of dental professionals who feel that the more you are able to understand about what it takes to be in good oral health, the more likely you are to experience good oral health. If you or one of your family members is currently in need of a dentist appointment, simply call us right now so we can get you scheduled in at a time that is convenient for you. We are currently accepting new patients and would love the opportunity to provide you and your family with the dental services you need for good oral health. « What is an Artificial Tooth Anchor?